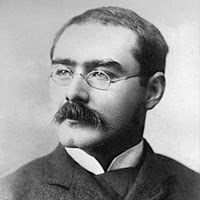 Rudyard Kipling’s renown as the poet of Empire (in fact, often ambivalently), creator of The Jungle Book and Kim, and chronicler of the Raj, may have obscured his significant and lasting contribution to the supernatural short story. In Wormwood 26, admired writer of the fantastic Colin Insole draws attention to the range and power of Kipling’s stories of the strange and supernatural. There are at least a handful that might stand among the most effective in the field. And as well as their strong traditional storytelling qualities, Colin notes that aspects of Kipling’s tales anticipate modern developments in the literature of the supernatural, later found in the work of Shirley Jackson or Robert Aickman. The stories explore states of dream or delirium and can also be psychologically acute. Colin Insole’s first collection of stories, Elegies and Requiems, was published by Side Real Press (Newcastle upon Tyne) in 2013. He has contributed to a number of anthologies, including tribute volumes to Bruno Schulz, Arthur Machen and Fernando Pessoa. His short novella, The Hill of Cinders was published in 2015, in the L'Homme Récent series.